Another fast paced, action filled adventure. 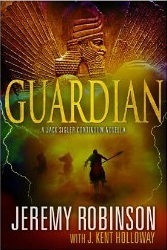 This time Jack is battling ancient armies and gods. Will he ever die, well if you have read previous novels you will know the answer to that.